Bogart, Georgia – March 15, 2019 – Congratulations to Southwest Georgia Projects for Community Education of Albany, Georgia for being name the Fourth Quarter Winner of the AgriTrust of Georgia Quarterly Safety Initiative. Southwest Georgia Projects for Community Education is a non-profit whose mission is to educate, engage, and empower communities through grassroots organizing and technical assistance. Recognizing that Dougherty County is listed in the top 1% of all counties in the US for the highest rate of food insecurities, SWGAP has taken steps to solve this problem. Working with the local school systems to implement a teaching garden in all elementary schools in the Dougherty County will help show the value of hard work and agriculture to the younger generation, coordinating with local farms to provide training and technical assistance helps ensure the farm labor is safe and productive, and partnering with other community outreach organizations to expand the number of lives they can positively affect are just some of what SWGAP provides to the Albany community. SWGAP holds multiple safety trainings every month to ensure all employees know the dangers that are associated with their unique business. Their training involving the hidden safety concerns of the holiday seasons was selected as the winning meeting for the quarter. AgriTrust of Georgia has presented Southwest Georgia Projects for Community Education with a check for $2,000.00 to help celebrate their long history of a safe workplace. While the plans for the winnings is not know yet, rest assured that they will put it to great use. 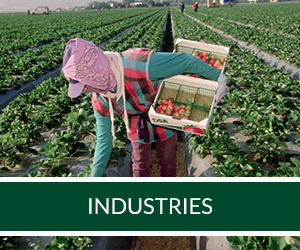 AgriTrust of Georgia is a group self-insured workers’ compensation fund that provides workers’ compensation insurance coverage for the agricultural industry in the state of Georgia.